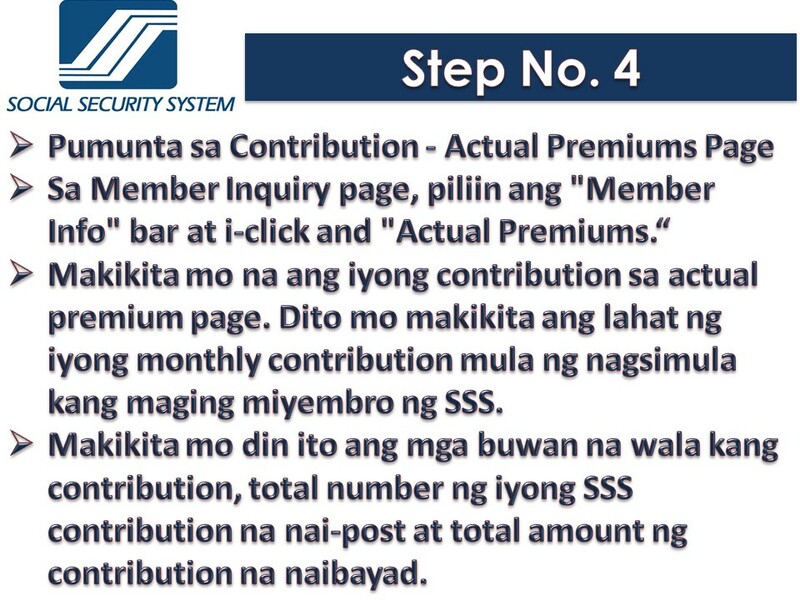 As a member of Social Security System or SSS, there are many reasons why you should regularly check your contribution online. As an employee of a company, you will know if your employer is remitting the exact amount of your contribution. If you are a self-employed and voluntary member, you will know immediately if you have missed or incorrect payment by regularly monitoring your contribution. SSS is indeed a big help in times of financial difficulty. As a member, you can avail of an SSS loan, SSS housing loan and other SSS benefits such as for sickness and maternity. 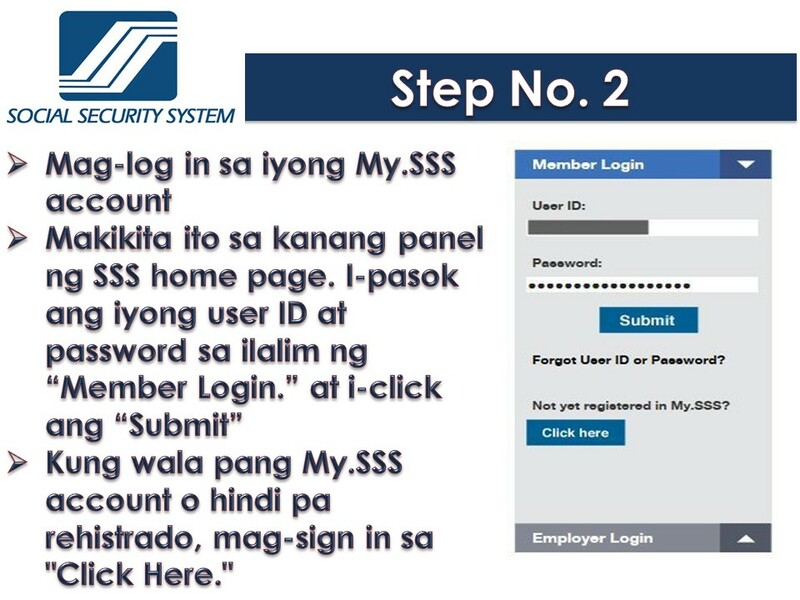 If you think that checking your SSS contribution is a hassle, well not anymore because you can do it online, anytime, anywhere. 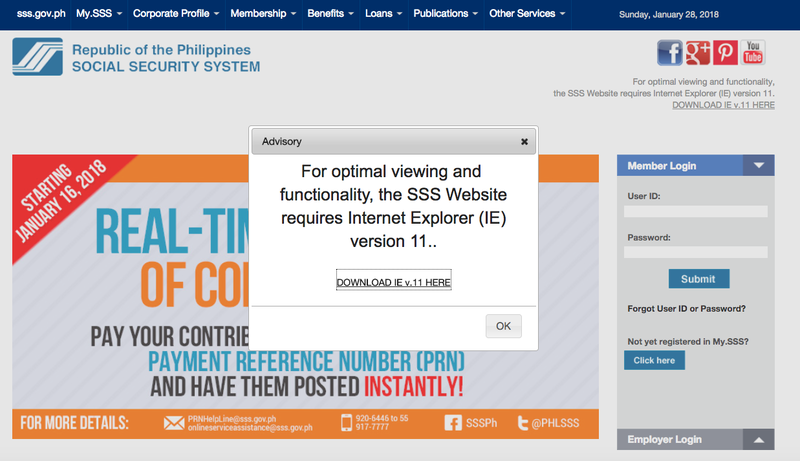 All you need now is an access to SSS website. 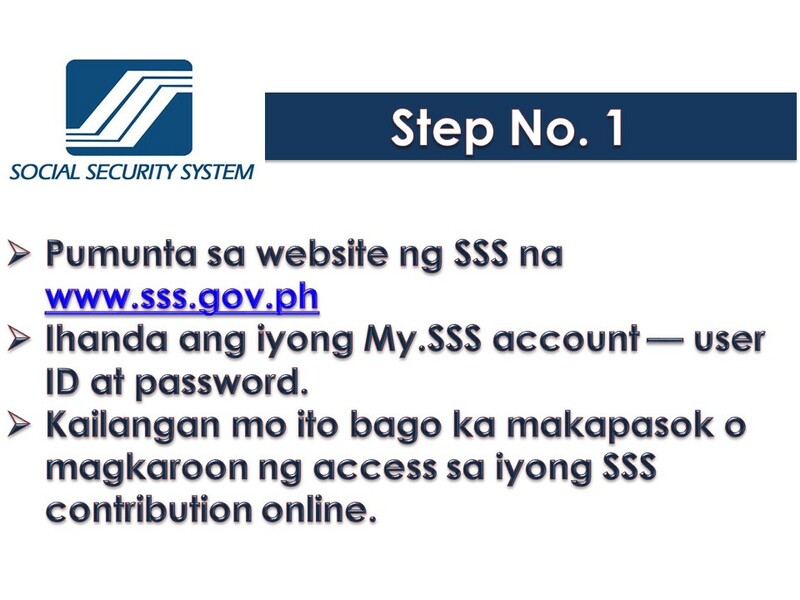 You need to have a My.SSS account before you can access your SSS contribution online. You can do the checking in less than five minutes but it will depend on the speed of your internet connection. To use the website properly, download and install Internet Explorer (IE) 11. If you’re using another browser such as Google Chrome, Mozilla Firefox, or Safari, a message prompt appears on the screen when you get to the homepage. You will see this on the right panel of the SSS home page. 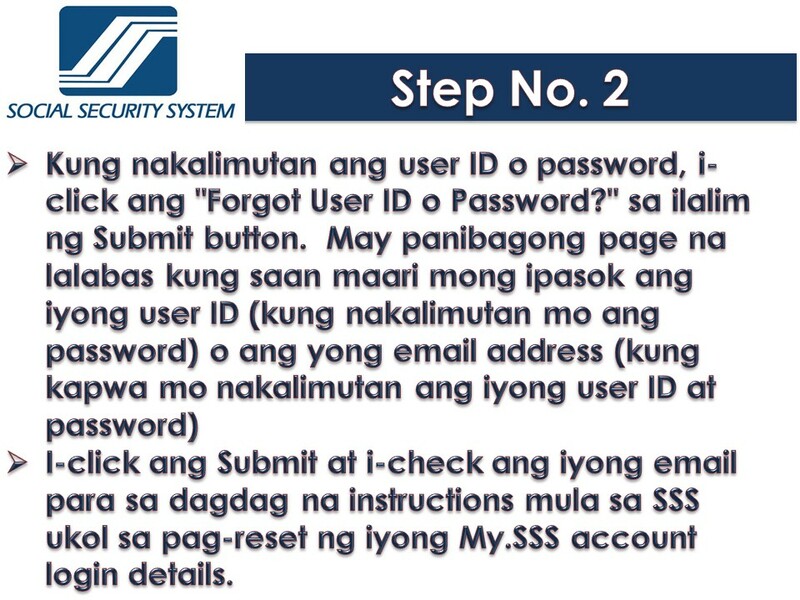 Enter your My.SSS account’s user ID and password under Member Login. If you forgot your user ID or password, click on “Forgot User ID or Password?” under the Submit button. You’ll see a page where you’ll have to enter your user ID (if you forgot only your password) or your email address (if you forgot both your user ID and password.) Click Submit and check your email for instructions from SSS about the retrieval or reset of your My.SSS account login details. Step – 3 Go to the Member Inquiry pagePoint your mouse over the E-SERVICES menu and then click on “Inquiry”. 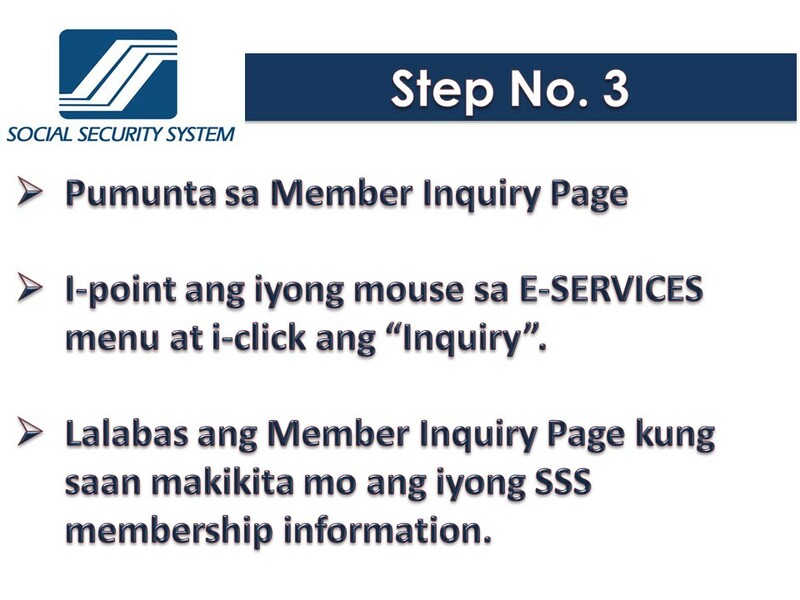 The Member Inquiry page will show up where you will see your SSS membership information. 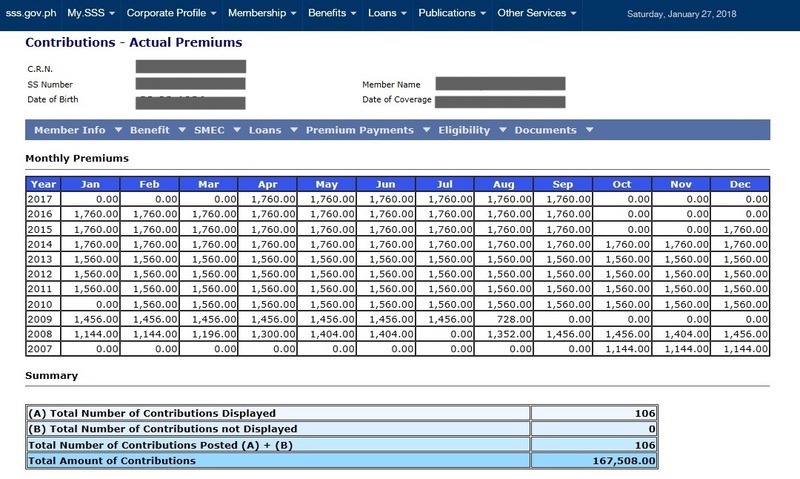 There you have it, the Contribution – the Actual Premium page will show all your monthly contribution paid since the year you started as an SSS member. Here you will see which months you have no posted contribution. No posted contribution means, you are unemployed during those months or your employer has not remitted your contributions yet. 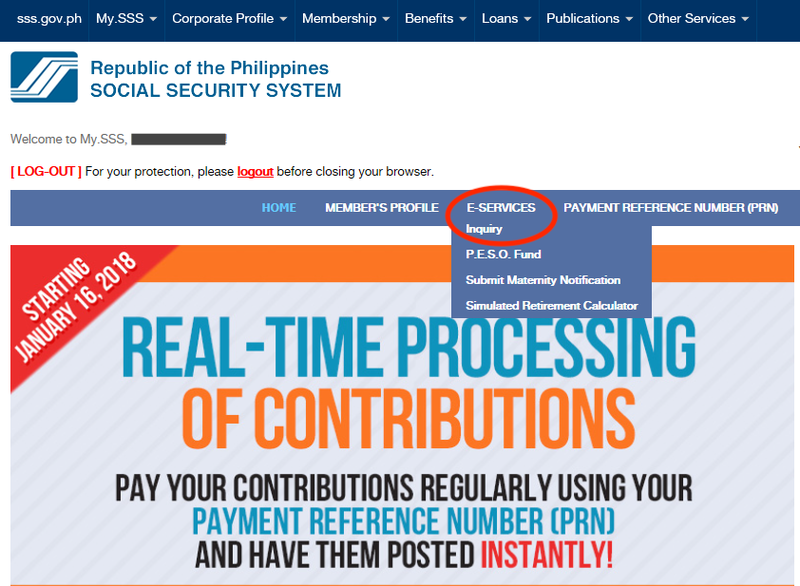 In this page, you can also view your total number of SSS contribution posted and the total amount of contribution you paid. If you see some inconsistencies, you can talk to your HR department if you are employed. If you are self-employed, you can make the needed corrections. 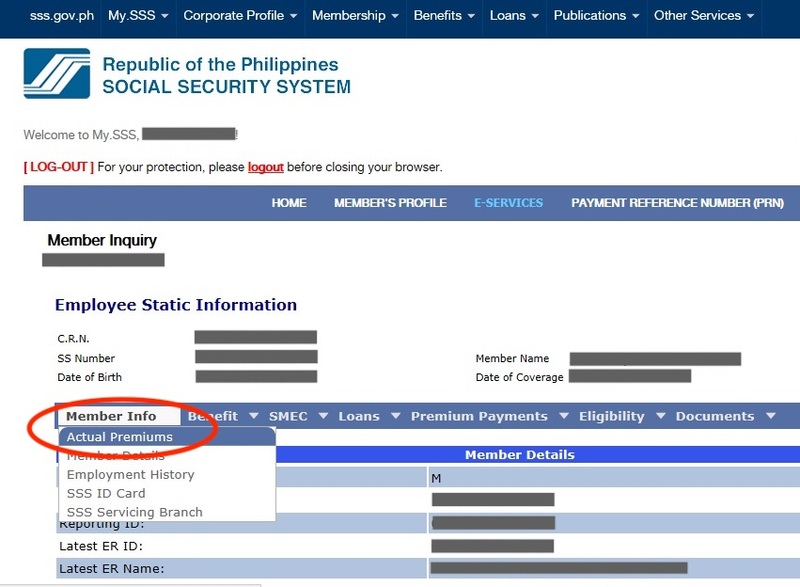 By checking online your SSS contribution you will know if you are now eligible for an SSS loan. When applying for an SSS loan, you need to have at least 36 posted monthly contribution. Six of which should be within the last 12 months prior to the month of filing of an application. By regularly monitoring online your SSS contribution you will know if you can avail the loan or not! Checking your contribution regularly will lessen the possibility of some problems when you apply for a SSS loan or SSS pensions even claiming your benefits when you need it!